Four people are baptized after hearing personal testimonies in the Black Sea church. On Sabbaths, vacationers flocked to the Seventh-day Adventist church in Russia’s popular Black Sea resort city of Gelendzhek. The visitors from Siberia, the Ural Mountains, and other far-flung Russian regions reminded the pastor, Andrey Prokopev, of something special he had learned while studying at Advanced International Institute of Advanced Studies in the Philippines. When visitors came to the campus church, Andrey and other students took turns providing them with a Sabbath fellowship meal afterward. Andrey proposed a similar Sabbath fellowship meal for guests at the Russian church. He suggested that the church’s six Sabbath School classes, each with six to seven members, could take turns providing the food. The idea did not go down well. Russian Adventists do not have a tradition of Sabbath fellowship meals. “We don’t have money,” complained a church member. “We’re too busy,” said another. “Why do we have to prepare food for visitors?” said a third. Andrey wasn’t about to give up. He kept heralding the idea and spoke about the hospitality of Abraham, who unexpectedly served a meal to the Lord. Church members agreed to try the meal. After the next Sabbath sermon, 20 vacationers in the congregation gladly accepted an invitation to stay for lunch in the church’s kitchen. After the visitors were filled and happy, Andrey asked them to introduce themselves and share how they became Adventists. The resulting personal testimonies were powerful, and the church members enjoyed hearing them. Andrey wanted more people to hear the stories, and he began to invite non-Adventist neighbors to church to worship and eat. One Sabbath, an Adventist vacationer told a remarkable story about her grandfather, a cook who prepared food for soldiers traveling by train to the Western front during World War II. The cook was much respected for his hard work and alcohol-free lifestyle, but he was an Adventist who refused to work on Sabbath. His superiors could not give him Saturdays off, but they didn’t want to lose him. Finally, the commander summoned him. The arrangement worked well. For the rest of the war, the cook was fired every Friday and rehired every Sunday. When the vacationer finished telling the story about her grandfather, a non-Adventist visitor at the table spoke up. “I want to be an Adventist,” she said. To Andrey’s joy, he later baptized the woman. In all, four people, all attracted to Jesus through personal testimonies, have been baptized in the two years since the fellowship meals began. 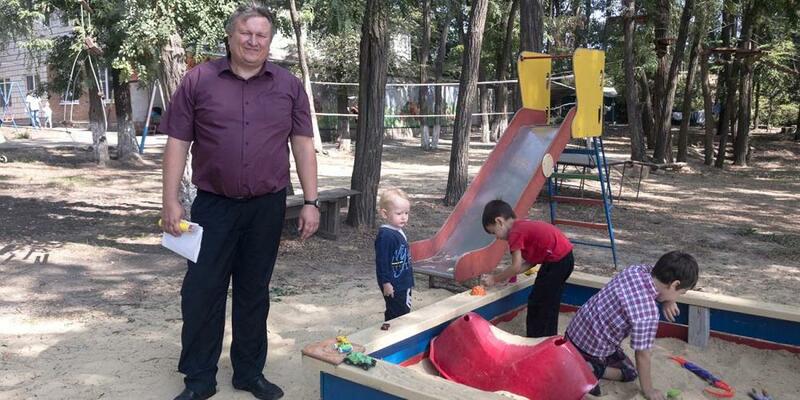 Andrey, 43, said fellowship meals with personal testimonies have been a huge blessing for his church and helped Sabbath School class members grew closer as they work together to care for guests. 7 Boys Don’t Know Their Shy Angel The quiet kindness of a 14-year-old girl changes seven lives in Kenya.